The Jeep Wrangler and its stablemates are some of the most competent off-road vehicles you can buy. For some, wearing the battle scars you incur when taking your Jeep off-road is a source of pride. But if you daily-drive your Jeep and offroad usage is only a secondary function, then you may need to replace some bodywork from time to time. I’m not saying the following tips are for off-roaders only — they’re not. Even if you’ve just got a dented fender you want to replace or a project with rusted-out sheet metal that needs replacing, this quick guide will help you get the job done! Before you can install any new Jeep body panels, the old ones have to come off. Most Jeep bodywork uses a combination of pop rivets and welds. To remove these, you’re going to have to break out the power tools. Jeep body panels that are already significantly damaged might provide you better access to the fasteners. Those that are not will require you to cut into the bodywork. Once you’ve found the rivets and welds holding the piece on, separate them from the old panel using a cutting wheel or sawzall — and give the piece an occasional tug to see where it’s still attached. Older Jeep models will require a special tool to remove some body panels. Specifically, the CJ-5 requires a tool from Eastwood that can remove the spot welds which hold the panels on from the outside. With the old piece removed, it’s important to grind down any protruding welds. If you leave them, they could keep the new body panel from fitting correctly. If you’re removing rusted-out material, make sure you thoroughly remove any rust in the area, as well. The first step in replacing any of the sheet metal on your Jeep is finding the correct replacement part. If you’re installing the new body piece on a painted Jeep — which is typically going to be the case — you can save yourself some trouble by painting the new panel before it’s on the vehicle. If you wait until it’s installed, you’ll have to go through the trouble of masking off other bodywork to prevent overspray. You may also want to treat the panel with a protective coating to ward off rust and corrosion. You can apply this coating to the new panel and framework beneath it. Welding new bodywork to your Jeep will provide the strongest bond. However, it’s not always as simple as just getting out the welder and tacking away. If there’s carpet or flammable material behind the panel you’ll weld to, then you will need to use rivets either to attach the new bodywork or attach another piece to which the panel can be welded. If you do need to avoid welding, use a pop rivet gun to attach new material. You will need to pre-drill holes for your rivets. The gun holds the rivet, which you place through the pre-drilled hole. When you squeeze the lever on the rivet tool, it expands and compresses the rivet — securing the body panel. Rivets are easy to drill out, too, which makes them less frightening than welds. They also don’t cause carpet and other flammable materials to catch fire. Your new body panel should now be snug against your Jeep — assuming the fitment was good. Make sure to remove any excess weld material with a grinder and apply protective coating to exposed welds. If you haven’t done your painting yet, now is the time. Replacing the bodywork on your Jeep will save you a ton of money at the body shop — money you really don’t want to spend if you’re just going to take the Jeep back out to the trail and beat it up. Plus, you can take pride in knowing that you’re driving your own handiwork. 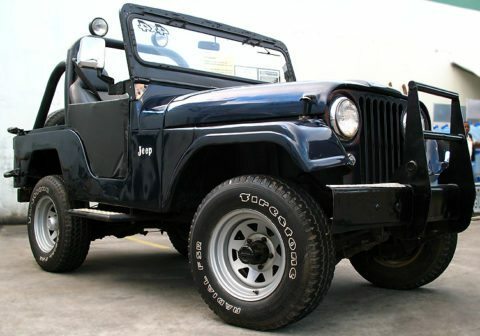 Whether it’s restoring an old CJ from the ground up or just replacing the rocker panels on your late-model Cherokee, doing your own bodywork is rewarding — and it saves money. The Jeep community salutes you!